This is a quick post reviewing three books that I read while on the beach. Lots of reading … that’s part of my down time. And not a professional book in the bunch. 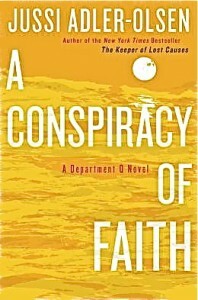 First, A Conspiracy of Faith is the third book in the Department Q mystery series by writer Jussi Adler-Olsen and his Danish main detective, Carl Mørck, is back better than ever with his grumpy personality and keen insights into solving crimes. This book is more sprawling than the other two, but that is not a bad thing. Adler-Olsen weaves a rich tapestry of stories and characters, and while you know who is the antagonist, the thrill is in watching Carl Mørck solve what is going on. In this book, the mystery involves a serial killer who targets strict religious sects and Mørck is racing against time to save two children who have been kidnapped. This was a perfect summer read for me. Second, Love is a Mix Tape by Rob Sheffield is one of those unexpected surprises. While I read Sheffield regularly in Rolling Stone magazine for his witty pop culture views, this is the first book of his that I have read. It’s lovely, really, telling the story of how he fell in love with his first wife, married her and then was suddenly adrift when she died of a brain clot in 1997. Lovely, as in sad but powerful, particularly as Sheffield weaves in their collective love of music and pop culture. And for anyone who ever made or received a mix tape in the 1990s (my hand is raised), Sheffield’s insights into why those collections mattered and what they said about us had me reconsidering music in new ways. Each chapter starts with song titles of a mix tape that Sheffield dissects in the glow of his wife, and then, the music is what finally helps him grapple with the loss and begin to take steps forward into life. I really loved this book, and now am on the hunt to get his latest. 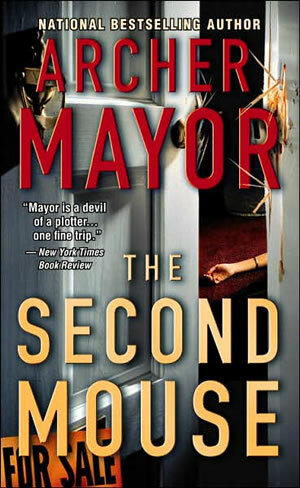 Third, The Second Mouse by Archer Mayer is another mystery. Here is a book that I did not bring with me, but ran out of reading material (panic!) and scoured the bookshelf of the summer house we were renting to see if anything might pique my interest. I have read about Mayer before because he sets many of his stories in southern Vermont, not far from where I live. I gave this novel a try and liked it. Mayer’s main character, Joe Gunther, is another detective with gut instincts and here, while piecing together the death of a young woman, he uncovers a larger crime. Standard crime fiction, in many ways, but Gunther is a likeable lead character and Mayer does use setting to his advantage here. I was glad that it was the shelf, and returned it when I was done for someone else to enjoy.